Brand New Hand Sander For sanding plasterboard, joints, walls and ceilings. 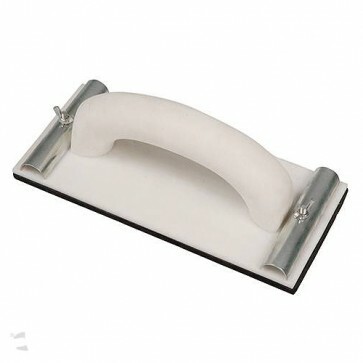 2 securing clamps enable attachment of sanding mesh or abrasive paper on to a foam rubber pad. Compatible with Silverline 10m and 50m Aluminium Oxide Rolls.